Victor Surge’s Slenderman had become quite the popular gaming horror icon during the early 2010s since its inception on the Something Awful forums, popular to the point of oversaturation, many may consider. The better one knows and understands something, the harder it becomes for one to be scared by it, and when there is a plethora of romantic Jeff the Killer and Slenderman fanfiction, it can become even harder to take the character seriously. This is a shame, as I find both the character and his debut game to be an excellent source of horror, each for their own reasons. While many may feel that the character is tired and played-out, I would like to explore just why Slenderman became so popular in the first place. 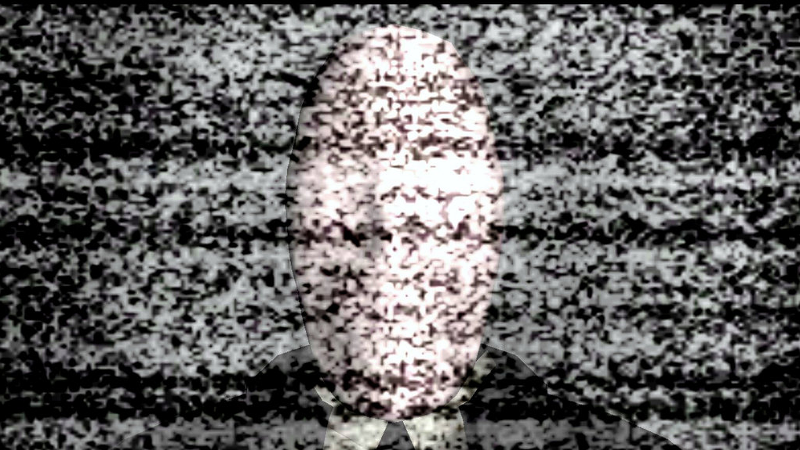 People are generally afraid of what they don’t understand, and the only aspect of Slenderman that is truly understandable is his surface-level characteristics. Slenderman’s visual design caters to this idea. At first glance, he merely looks like a normal human wearing a basic suit and tie; an incredibly familiar and understandable sight for just about anyone. A man in a suit may try to scam you, but at least they can often be reasoned and communicated with. However, his appearance then becomes more twisted when the absence of his facial features is accounted for. In its stead is a clean sheet of skin, the signature characteristic of his design. Upon closer inspection, it becomes apparent that his body is disproportionately…slender. Just slightly too tall and slightly too lanky for a normal human physique. His entire design is about taking the familair and warping it until becomes it unsettling and unnatural. While Slenderman’s characteristics may vary from iteration to iteration (web series like Marble Hornets and EverymanHYBRID being major examples), one of the character’s prominent recurring attributes is his modus operandi. Unlike some horror monsters, Slenderman opts for passive, stalker-like behavior, always lurking just out of sight as opposed to a direct pursuit. He is of the variety of monster who will oftentimes manifest and temporarily reveal themselves to their victims and then suddenly disappear. Behavior like this, in conjunction with some of his other abilities (remote manipulation of electronics, being able to invoke sickness in his targets, limited mind control, etc) is how he worms his way into minds, encouraging massive paranoia. A component of what makes Slenderman is that he is a constantly present threat; his passivity makes knowledge of his existence an ongoing form of mental torture. Slenderman doesn’t need to actually be in your presence for him to be present in your mind, and this mental manipulation is an important component of what makes him a terrifying monster. Continuing off this idea, another element that is truly fantastic about the character is that, stalked individuals gradually isolate themselves for him. Given the immense amount pressure from having a seemingly omnipotent stalker, the inevitable delusional and eccentric behavior these individuals will display (such as drawing sketches of their stalker in mass), will gradually erode away at their relationships with their peers until no one remains. Slenderman isn’t just interested in murder or torture, or who knows what; he is interested in becoming their obsession, ruining their lives in the process. Furthermore, Slenderman is a monster that is practically invulnerable. Considering his abilities, such as teleportation and controlled visibility, it would be extremely easy for Slenderman to capture his prey and to do with them as he pleased; it may as well be meaningless even to try resisting. At any given moment, he could simply materialize behind his prey, and his presence would be completely unknown if he so desired. This enhances the dread as his victims are so powerless against this being, he cannot be outrun or hidden from, and there is no real way to fight back. One’s fate may as well be sealed from the moment they are targeted. Slenderman is an unfortunate inevitability that cannot be escaped. The rationale behind Slenderman’s motives are unknown, but the mystery surrounding the character is much of what makes the character stand out. Not only is this an inescapable threat, but it’s not even a threat that one can really begin to understand. 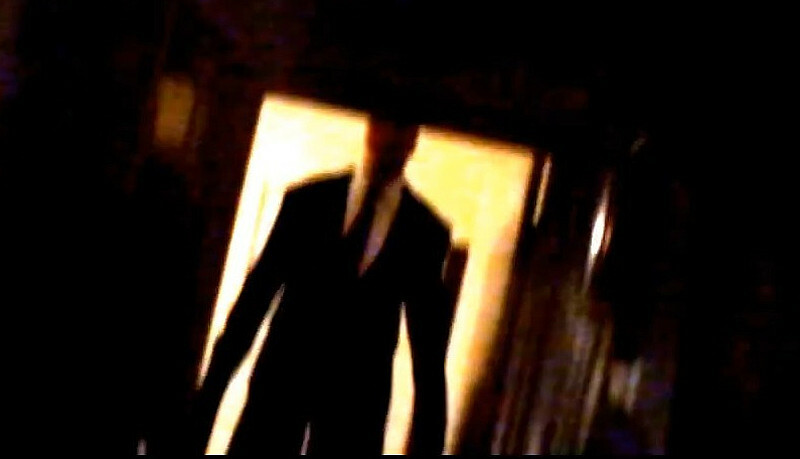 While yes, Slenderman is another incarnation of ‘the bogeyman,’ that fact tells us nothing about him. 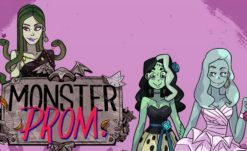 Most monsters can be rationalized and explained. Monsters like vampires and zombies that feed on the living out of necessity, and are partially scary as they are predators of a species with few real predators, and serial killers exist in the real world and therefore are more understandable because human society encounters and deals with them regularly. However, in popular Slender mythos, Slenderman’s true nature is unknown. If there are any limitations to his powers they are vague at best. We know nothing about how or why the creature came to be, and for all we know he could be a god or a demon, or something that would terrify both. In conclusion, Slenderman has it all. He has a great character design, mystery, psychological manipulation, hopelessness, and the isolation. The character itself is an amalgamation of all these elements, and that is what actually made this monster stand out. 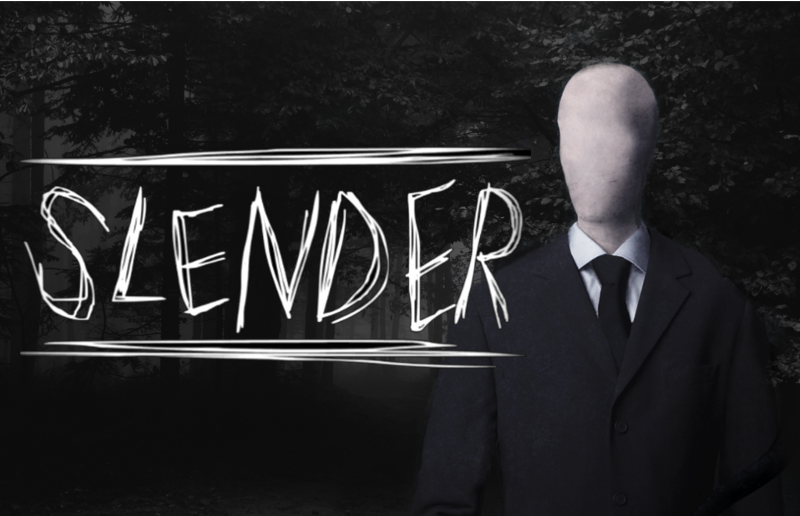 While the character itself has plenty of merits, Slenderman would have never risen to the level of popularity it had it wasn’t for Slendy’s original debut game. The original Slender: The Eight Pages by developer Parsec Productions was a rather basic experience. 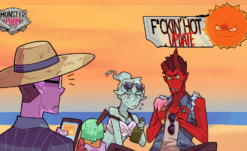 I don’t say that as a criticism of the game, however. While games like Slender: The Arrival added more production value and substance to the experience, The Eight Pages is a demonstration of how much can be achieved with very little. 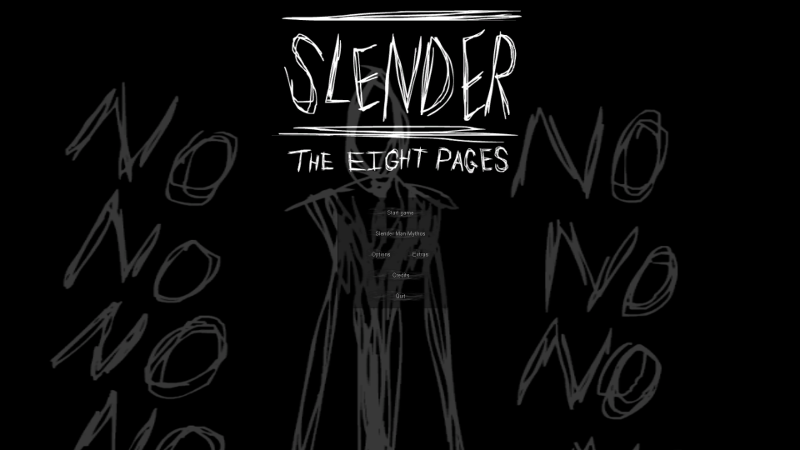 The Eight Pages, as well as most other fan-made Slender games, more or less revolve around the same basic premise. 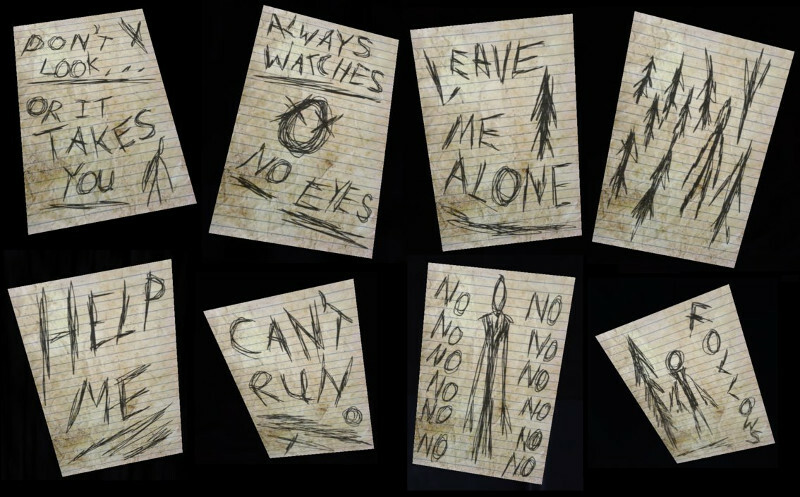 The player is alone in the wilderness at night and must find eight pieces of paper scattered across the map before the relentlessly pursuing Slenderman captures them. The more pages the player obtains, the more aggressive he becomes in his pursuit. Players are actively encouraged to avoid looking at the man, as doing so will create a static-distortion effect, making the player more vulnerable to him. This idea works to the game’s benefit as the idea of Slenderman pursuing you is scarier than the face to no-face moments. This effect encourages the player’s mind to focus on Slenderman’s chase, rather than his actual appearance. This ties back into the idea that the vague threat of Slenderman is half the horror. 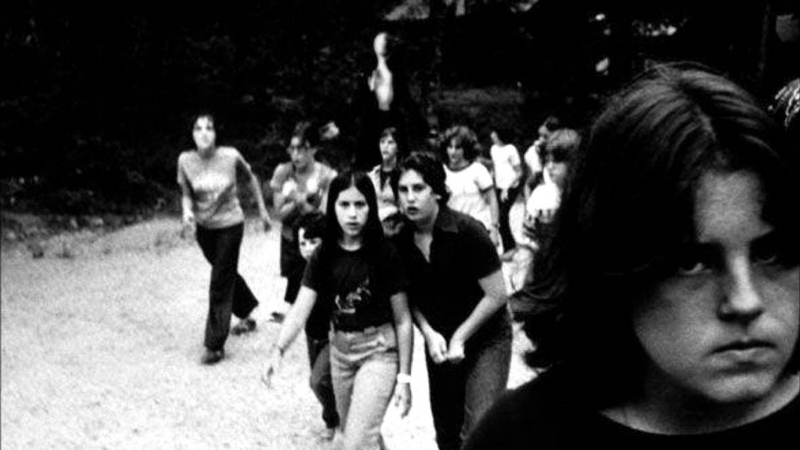 Due to the rules of the character, The Eight Pages can’t rely on Slenderman’s appearance to make the experience effectively scary. Because of this, it is the job of the game’s soundtrack to focus on making that ‘pursuit’ terrifying rather than boring. I would argue most of the horror in The Eight Pages is achieved through the game’s implementation of music. When the player begins each playthrough, the soundtrack is non-existent, the only noise present is the player’s own footsteps, alongside maybe a few crickets. The lack of a soundtrack during the game’s intro sequence does an excellent job of immersing the player in the scene. The absent soundtrack in the intro, as well as the general silence of the dark woods instantly creates the sensation of isolation, a theme central to the source material. It’s only once the player obtains their first page that the beginning phase of the soundtrack kicks in, communicating to the player that they are now being pursued. Any sense of security one may have been able to find in isolation is now gone, as the player generally understands that they are no longer truly alone and that their only company is not friendly. From this point on, a connection is made between Slenderman and the soundtrack. The further the player progresses in the game (i.e collecting more pages), the more intense the music becomes, and the more aggressive he becomes. As a result, more and more pressure is gradually pressed onto the player to hurry and find the rest of the pages. 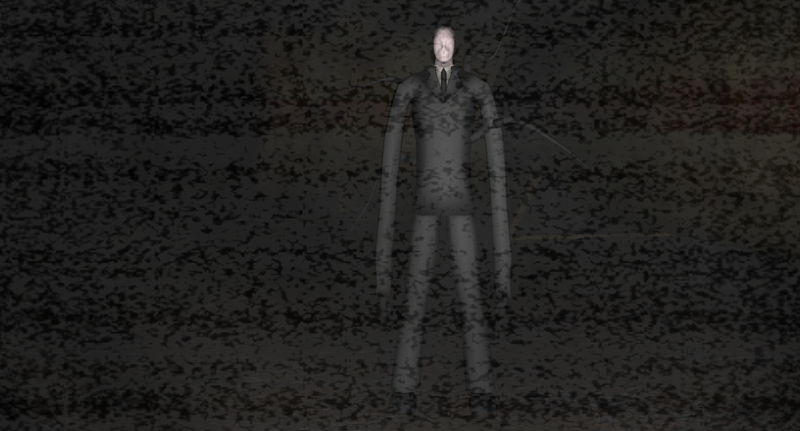 One criticism of the game may be the ‘over-reliance on jumpscares,’ mainly aimed at the sudden static-distortions accompanied by the loud slamming of piano keys, all of which being a side effect of being in the presence of Slenderman. As someone who is generally very critical of jumpscares, I understand why many may notice this phenomenon and take issue, but I find that The Eight Pages implements jumpscares in an infinitely more intelligent way than many other games. The effect isn’t scripted to happen at certain moments in a playthrough, at specified locations. Otherwise, the sensation would become extremely predictable. If the player started to lose the sense of urgency then the distortion effect is there to reestablish it. That is why the jumpscares in this game don’t bother me, because they have weight, and they serve an additional purpose beyond a momentary flash of excitement. The Eight Pages doesn’t. The static-distortions, the soundtrack, alongside Slenderman’s increasingly aggressive A.I ensures the tension is unrelenting, never allowing the player a break for even a second. The Eight Pages was an excellent demonstration of how to build tension, as well as demonstrating the potential value into holding onto it, as opposed to the common build up and release structure of most horror. While the game certainly received overexposure due to the rise in the Let’s Play community, I think it is worth remembering that there was actual substance to the game itself. I supposed you could say that Slenderman is comparable to the idea of an inescapable fate. While one could try to run and hide, it ultimately doesn’t matter because you, the target, are completely powerless against this unknown force. Slender media such as The Eight Pages merely chronicle the meaningless struggle and enhance the horror through excellent execution of rising tension. It was a culmination of all these essential elements of horror in conjunction with each other, the mystery, the tension, and the hopelessness that made Slenderman a monster worth remembering. Knowing the potential of the character makes it all the more frustrating that he’s become the horror laughing stock of the internet, and even more frustrating that the character can’t get some decent representation in film. Maybe someday, my skinny friend.